Bond, James Bond, is making a comeback soon. Bond 25 has set a debut date and confirmed Danny Boyle as its director (via Deadline). The forthcoming (and 25th, of course) entry in the Bond film franchise will bow in U.S. theaters on November 8, 2019. Fans in the U.K. are a bit luckier than their stateside counterparts, as they'll get to catch Bond 25 in cinemas two weeks early, on October 25 of that year. This announcement legitimizes a report from The Hollywood Reporter published in 2017 that indicated the November 8, 2019 release date. 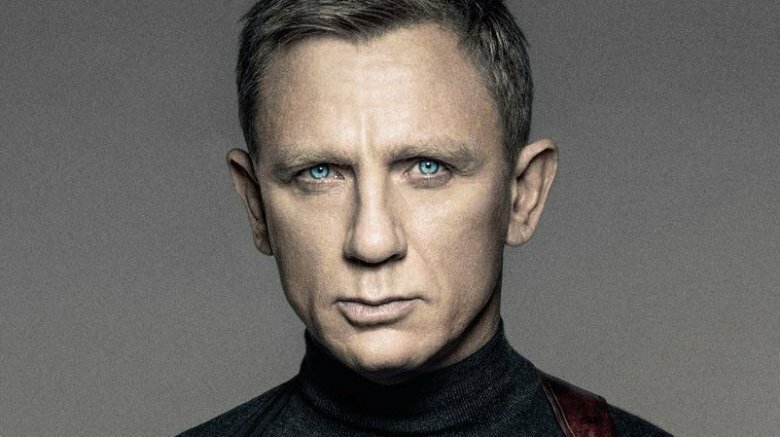 Daniel Craig will reprise his role as the titular super spy in the flick; Danny Boyle, the filmmaker behind pics like Trainspotting, 28 Days Later, and The Beach, is now officially attached to direct Bond 25. Although his name has long been linked to the film, this marks a bonafide confirmation that Boyle climbing into the director's seat. Boyle announced in March of this year that he was definitely attached to Bond 25, and had already started on a script with writer John Hodge, whom he worked with on Shallow Grave. "John Hodge, the screenwriter, and I have got this idea, and John is writing it at the moment. And it all depends on how it turns out. It would be foolish of me to give any of it away," Boyle said at the time. News of both Craig and Boyle officially climbing aboard Bond 25 is fantastic for fans, particularly after hearing some of Craig's past remarks regarding the series. The actor once quipped, shortly after Spectre launched in 2015, that he would "rather break this glass and slash [his] wrists" than ever dive back into the world of espionage, mixed drinks, and beautiful women to play James Bond again. "I'm over it at the moment. We're done. All I want to do is move on," he told Time Out London. In the years since, Craig appears to have done a complete 180 and changed his tone entirely. Though the suave Brit once said he would only sign on for another Bond movie "for the money," he announced his intent to return to the franchise in 2017. Various reports noted that Craig's "U-turn came after a host of British stars were tipped to replace him." Bond 25 will mark Craig's last go-around as 007. He explained on The Late Show with Stephen Colbert (via THR), "I just want to go out on a high note, and I can't wait." Now that the creative time is locked in and ready to roll, Bond 25 is slated to start production on December 3.